This week I built and painted some fences for Flames of War. I recently purchased a Citadel Battlemat, so I decided to build some scenery to fill it up. These fences are built using matchsticks, thin balsa wood, and tongue depressors (large popsicle sticks). In total there are about 6 feet (a little under 2m) of fencing. The bases were flocked with Army Painter Green static grass, Woodland Scenics clump foliage, burnt grass and a yellow static grass. I also added Army Painter winter grass clumps and flowers. Just a quick post to show some completed Wirbelwinds. These models were painted for a commission. The client requested just a basic paint job and didn't want any decals or weathering. The models are Battlefront's Wirbelwinds. Assembly and painting were fairly straightforward. Some of the parts are a bit fiddly (like the back fenders) but there wasn't too much flash to clean up. I painted the guns separately The crew are molded into the turret. I painted the crew heads on the metal sprues and then glued them on after. In this tutorial I will show two different methods I used to try and paint German "disc" camouflage from WW2. 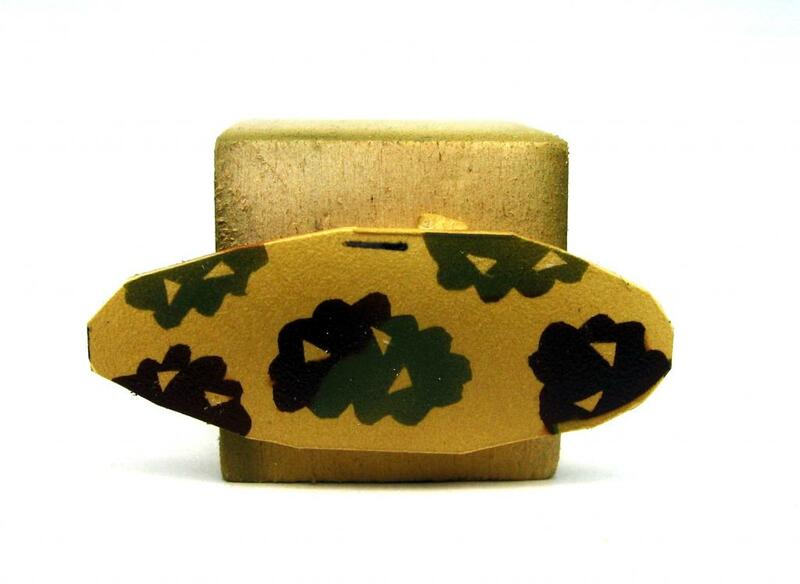 For these two methods I used a 1/8" hole punch to create a stencil for painting the camouflage pattern. Tomorrow I will post another method for painting the disc camouflage using dots as stencils and creating a pattern of dots to spray over existing soft edged camouflage. In this article I will show you how I did a quick test of the "corn chip" camouflage shown on the Flames of War website. I hadn't realized until after I had done it that this was an attempt to recreate "disc" camouflage.